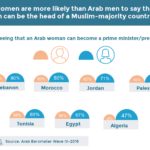 Curious to know why public opinion research is important in the Middle East & North Africa? And would like to know what are the main challenges that we face while collecting the data in the region? Watch AmaneyJamal‘s interview with TAFRA Association.